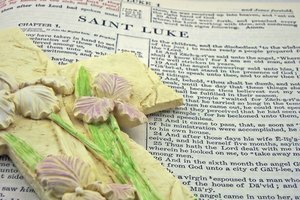 What Type of Bible Do Catholics Read or Use? 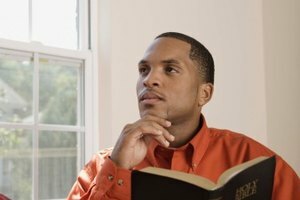 What Are the Differences Between a Devotional & Study Bible? Devotional and study Bibles can suit different needs. Devotional and study Bibles are both designed to help Christians better understand God’s word in different ways. Both contain the entire text of the Bible and supplementary resources. A study Bible helps clarify the meaning of the Scriptural text itself and the historical context. While a devotional Bible may also do this, its primary focus is helping readers apply Scripture to their daily lives. A study Bible includes resources that help readers dig deeper into the text, understand historical meaning and make connections between passages. Most study Bibles include footnotes and other annotations that clarify the meaning of certain words by putting them in historical context. Other notes indicate parallel passages, major themes or even summaries of particular sections. The back pages of a study Bible are often packed with supplements, such as a concordance, a chart detailing the harmony of the gospels, timelines that track the life of Jesus or other significant people, character studies, outlines of each book, summaries of thematic elements and detailed maps. The goal of a devotional Bible is to help readers apply biblical concepts to their daily lives. These Bibles do this by including inspiring stories, memorable anecdotes, clever analogies, applicable quotations and thought-provoking questions to get people thinking about what the Scripture means to them personally. The supplementary material appears near the passage of Scripture it discusses so a correlation is easily made. Some study Bibles target a particular audience, such as men, women, teens, children or couples. Devotional Bibles will almost always appeal to a particular group. There are devotional Bibles for almost any type of person at any stage in life. There are devotional Bibles for newlyweds, college students, recovering alcoholics, sports fans, mothers and new Christians. There are also devotional Bibles that focus on developing a certain Christ-like attribute, such as a good prayer life. Other devotional Bibles are structured around a time frame, such as one-year Bibles where a reading is selected for the day of the week. There is no lack of options when it comes to choosing a Bible. If you’re interested in learning more about the origins and historical context of Scripture, a study Bible is a good choice. If you want a Bible with supplementary material that will speak directly to your specific needs, a devotional Bible is best. It’s also helpful to own both. A study Bible’s resources will be perennially relevant. If you purchase a devotional Bible written for a narrow audience, such as new moms, it will meet your needs for the moment, but you’ll need a new Bible when that stage of your life ends. If you own both, you can use the study Bible as your mainstay and add variety to your reading with a devotional Bible. Watson, Michelle. "What Are the Differences Between a Devotional & Study Bible?" 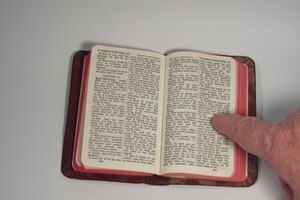 Synonym, https://classroom.synonym.com/what-are-the-differences-between-a-devotional-study-bible-12082679.html. 29 September 2017.